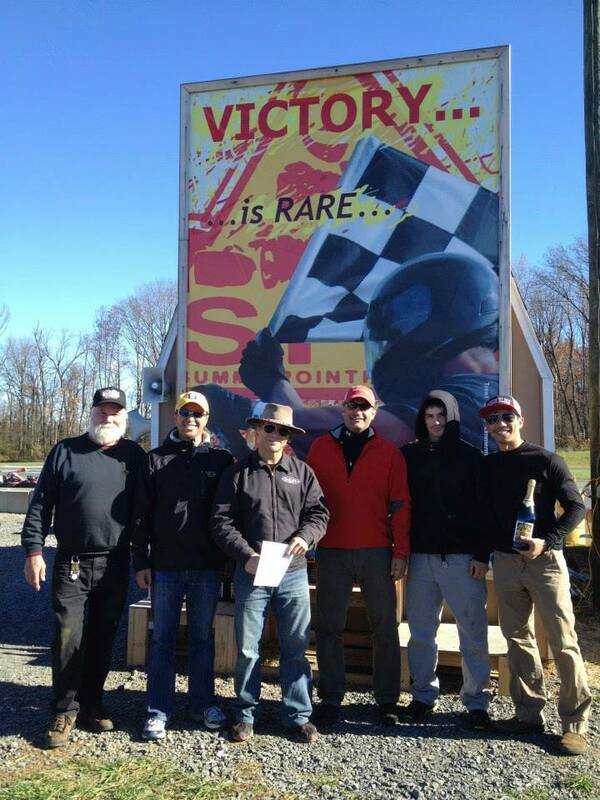 As Summit Point expanded, an outdoor karting facility (Summit Point Kart) was opened for “arrive and drive”. 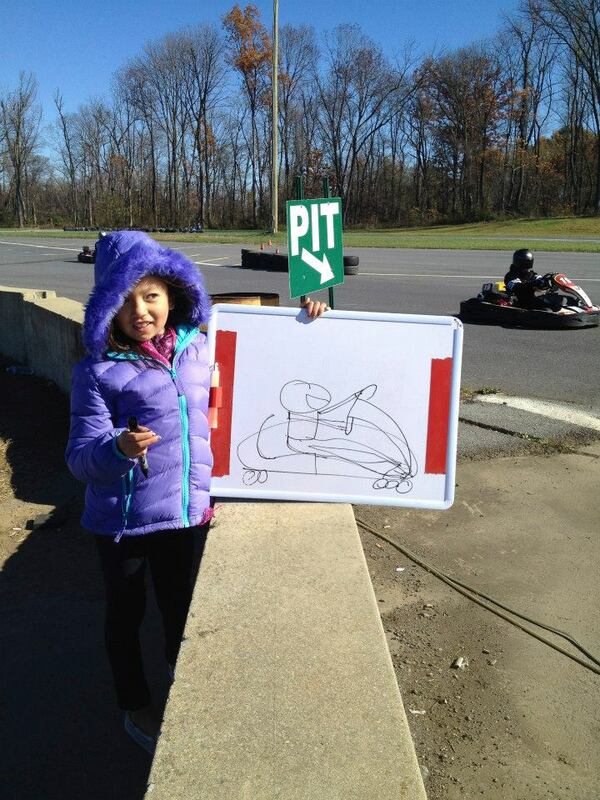 It was separately owned, but a great complement to events on the main track. 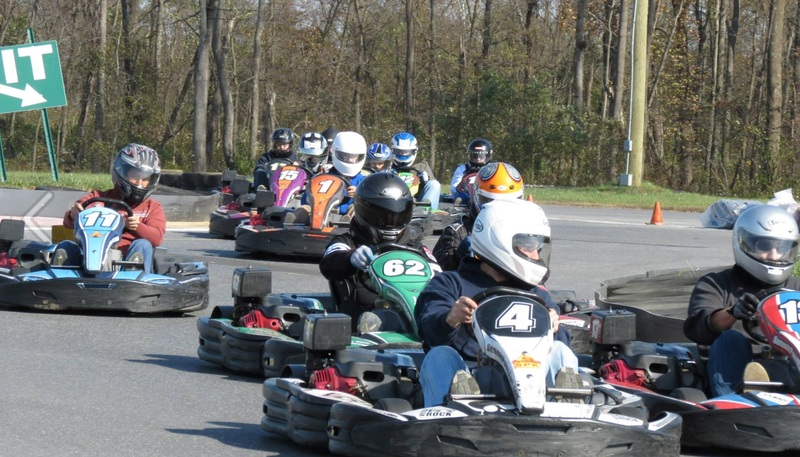 To learn the track and the karts, Toby went up to Summit Point Kart on two Saturdays. He got some valuable seat time and also good pointers from experienced racers there. Everyone arrived early on race day to squeeze in some additional seat time, then came the customary registration, rules review, safety briefing and weigh-in (to equalize teams through a lap adjustment formula). Michael looked at the extravagant (for rural West Virginia) table spread of cooking ingredients, Weber grill and rice cooker (brought by a non-Asian member of the team!) and came up with our team name “The Foodies”. The outgoing driver checked the new kart because he already had a “feel” for acceleration, handling and track condition from the stint. 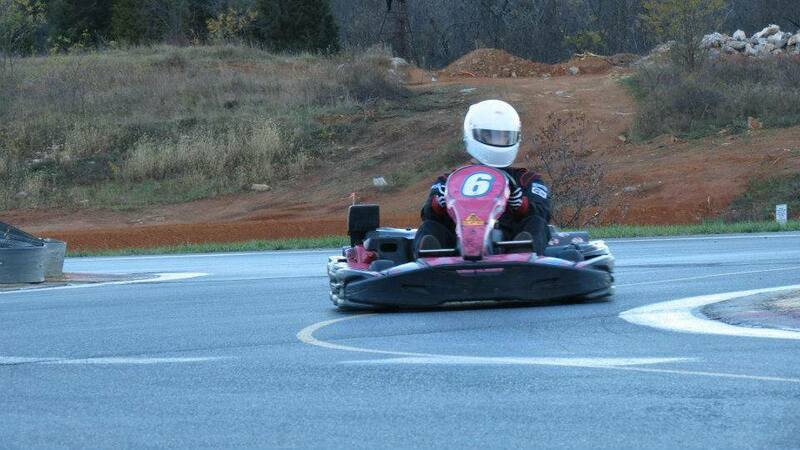 New karts were found to be duds and were exchanged for “new new” ones a couple times. Although it was a long race (3 stints of 65 minutes each for each of us), the adrenaline rush push each stint to be driven like a sprint race. The drivers’ skills ranged from “karting there all the time” to “why is the pedal on the left?” The Foodies were somewhere in-between and were in a “upper mid-field” 🙂 battle with two other teams. It was a great experience racing through the night. It was late fall and was quite cold and the track provided firewood to keep warm. Toby never managed to stay awake overnight watching 24hours of Daytona or LeMans, but it was easy when racing himself! The sun rose and everyone were excited by the warmer temperature and their last stint. The Foodies finished fourth. (Don’t feel sorry they were quite a long way behind third after 17 hours!) Every team got a bottle of bubbly for their effort and everyone had an absolute blast. The crew (sans Lashdeep) with our bottle of bubbly! 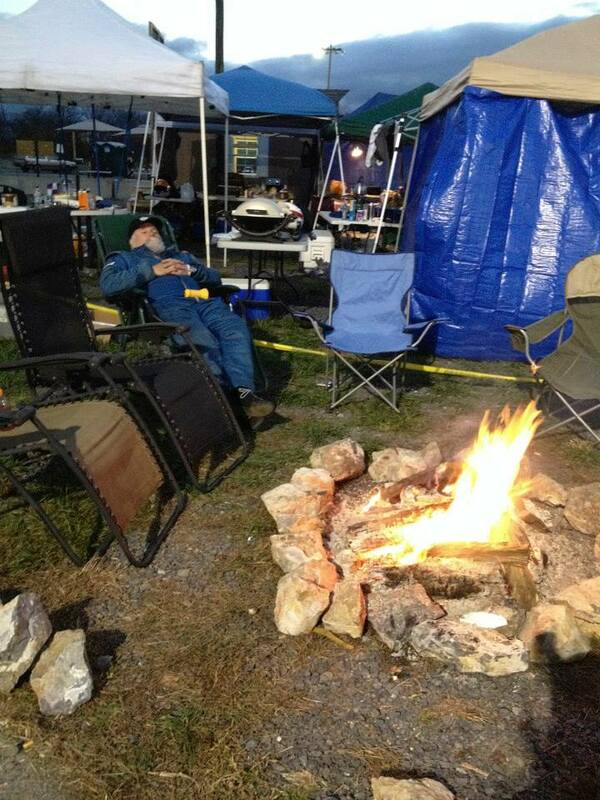 A “shut eye” between stints. 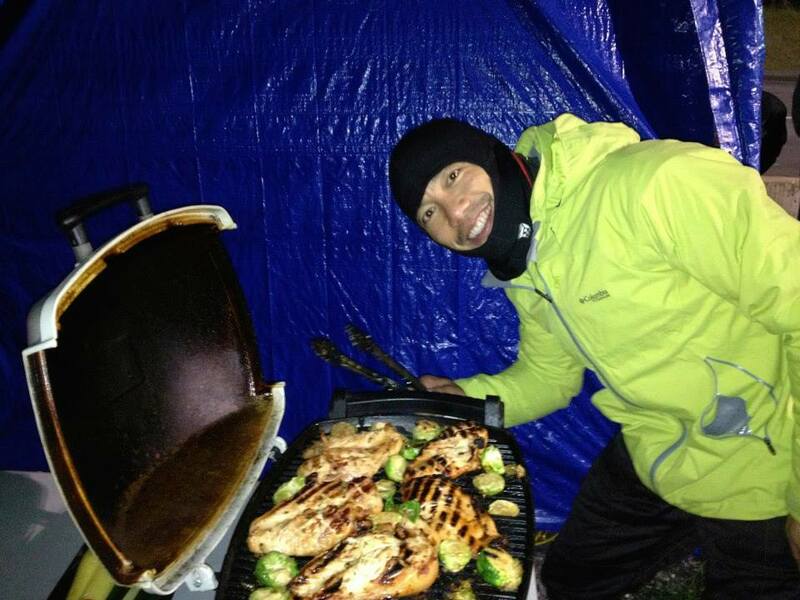 A fire kept us warm and a Weber kept us fed.